Fear… Hiding… Inauthentic… Withdrawn… Covered up… Uptight… are characteristics that describe how Maq Elè lived her life prior to traveling the G-STRING Living journey. Maq Elè acknowledges that she lived her life hiding her authentic self, sexuality and power for many years. Maq defined her worth, through her profession. She also went to great lengths to present herself as a strong, independent, confident woman--using manipulation and control to maintain this false image. After discovering that this way of living was too painful and no longer served her, Maq Elè decided that she desired to live her life like a “G-String--” open, bold and authentic! Out of that “aha moment,” G-STRING LIVING, (an acronym for Gracefully Standing True Receiving I n Ner Guidance), was birthed. As a part of this journey, and for the first time in her life, Maq Elè began living for herself. She began to discover who she really was and began living as her authentic self, she stopped hiding her sexuality and began challenging the beliefs, thoughts and judgments she was holding about herself and others. Because of her transformational experience of personifying G-STRING LIVING, Maq Elè provides her clients with an unconventional coaching experience colored with creativity to match their desires and needs. Maq Elè is known for her over the top, innovative assignments to support her clients in creating the life they desire to live, their very own G-STRING Living experience. 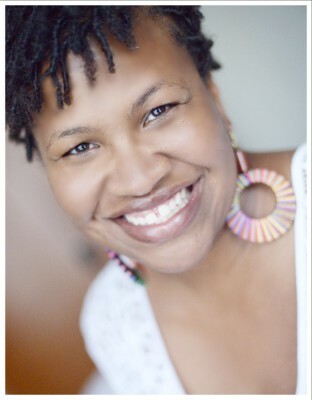 Maq Elè specializes in providing spiritual life coaching to LGBTQ women who desire to discover, embrace and live as their authentic selves. Her services are offered in-person, via telephone, video conference and pre-recorded sessions. As a respected speaker, Maq Elè is also available for speaking engagements, and as a group facilitator for LGBTQ and Women’s events.